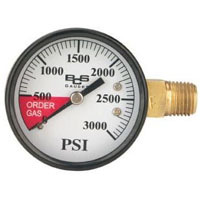 High pressure replacement gauge. 0-3000 lb. keg pressure. Right hand thread. Comments: Good product for a good price.